The 4th of July is one of my favorite holidays of the year. 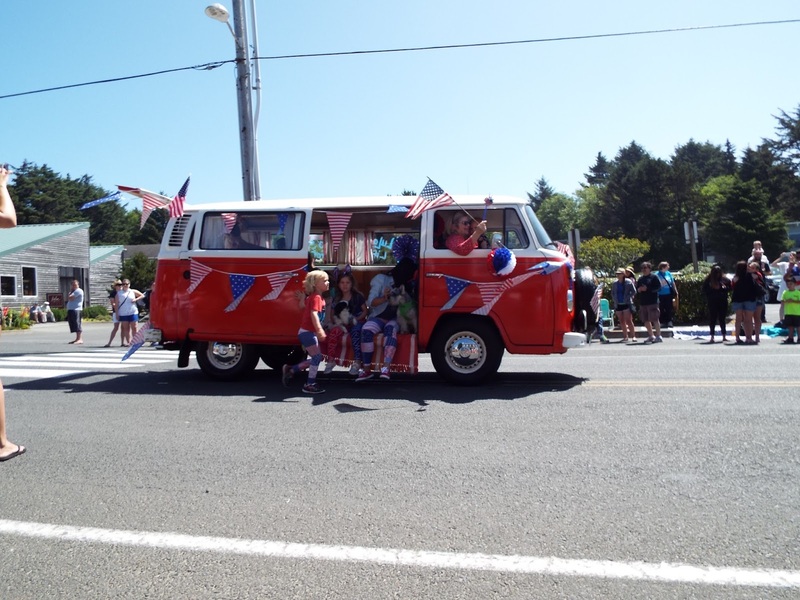 Growing up, my family always did something special for the 4th. 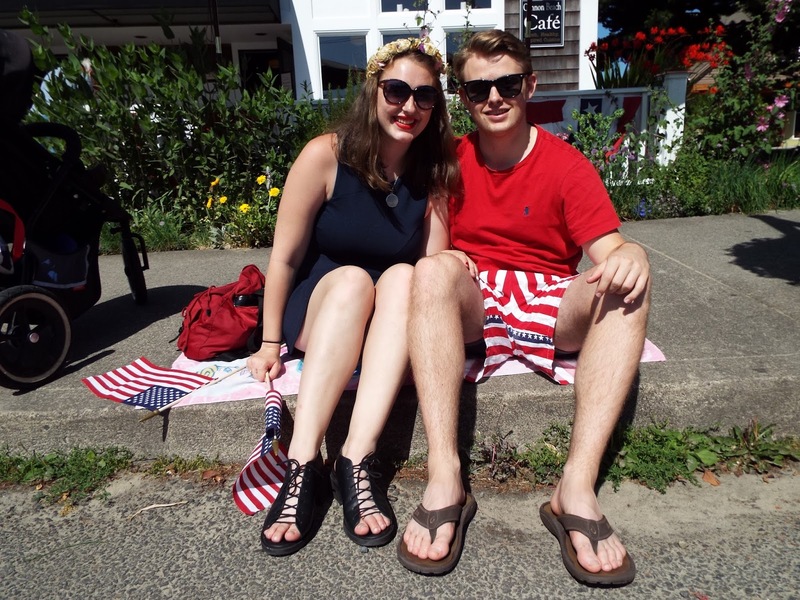 July 2nd is my grandma's and my dad's best friend's birthday, and the 3rd is my parents' anniversary, so there's a lot to celebrate in the days surrounding the 4th. 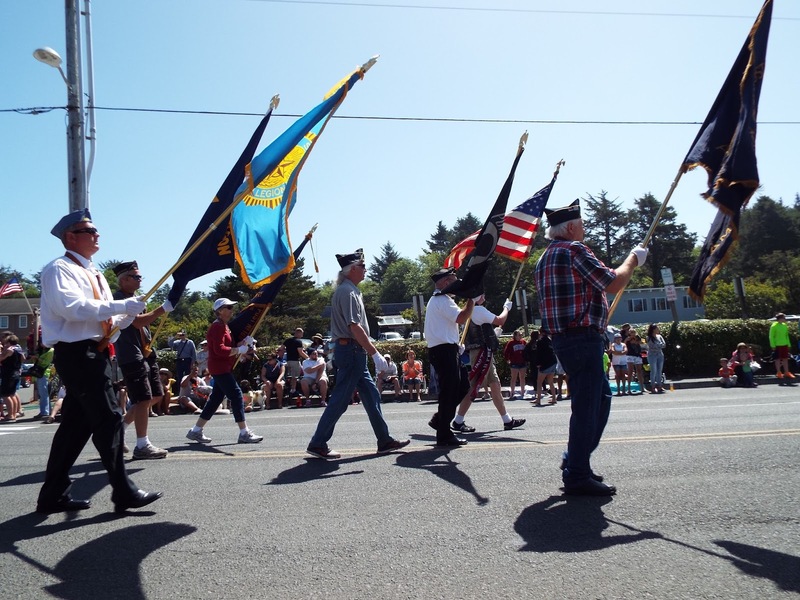 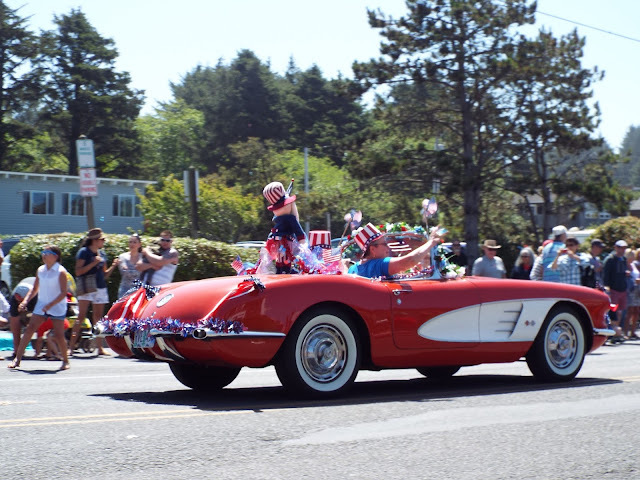 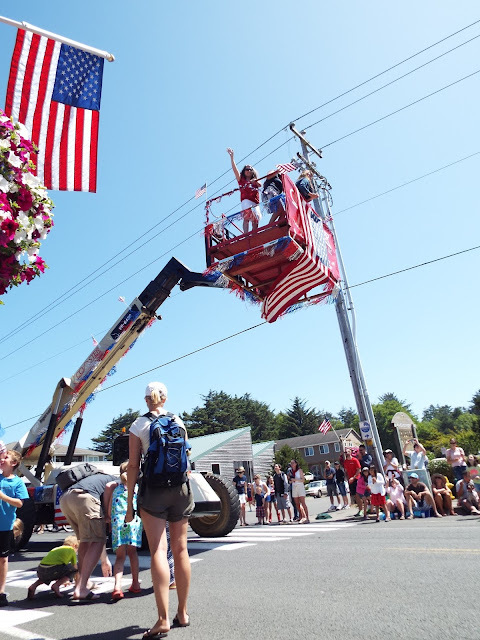 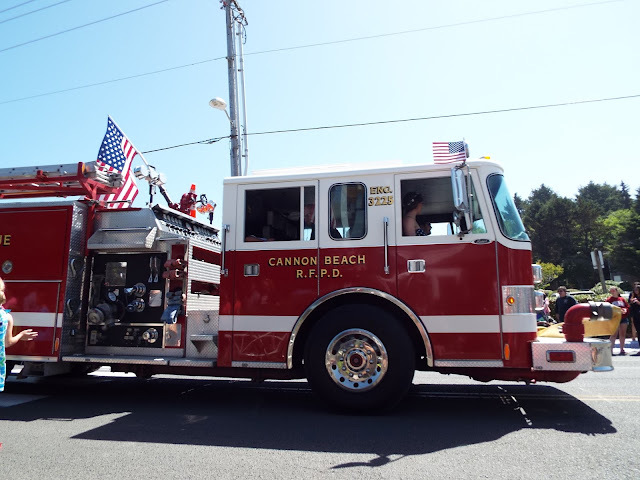 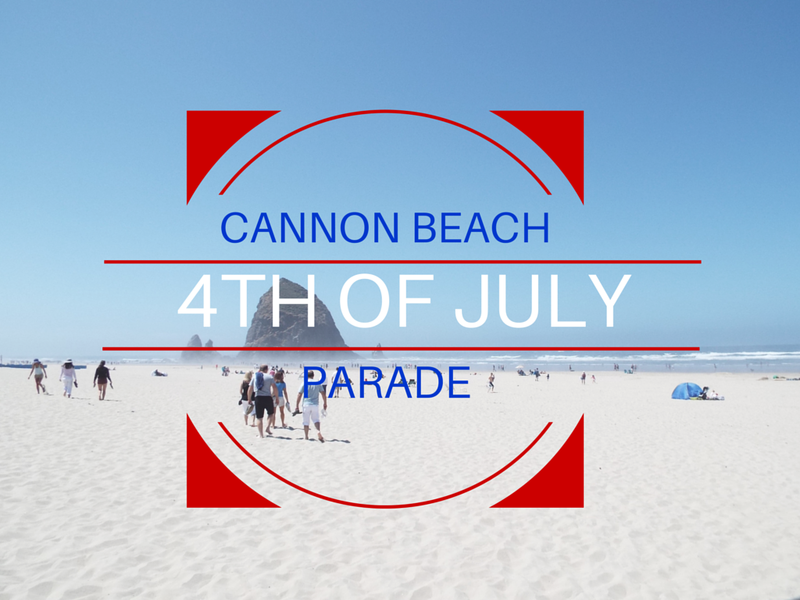 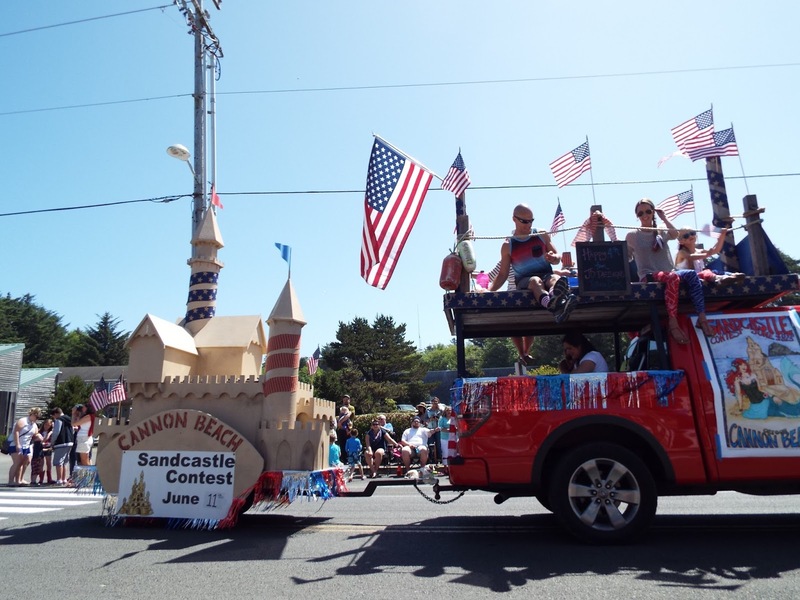 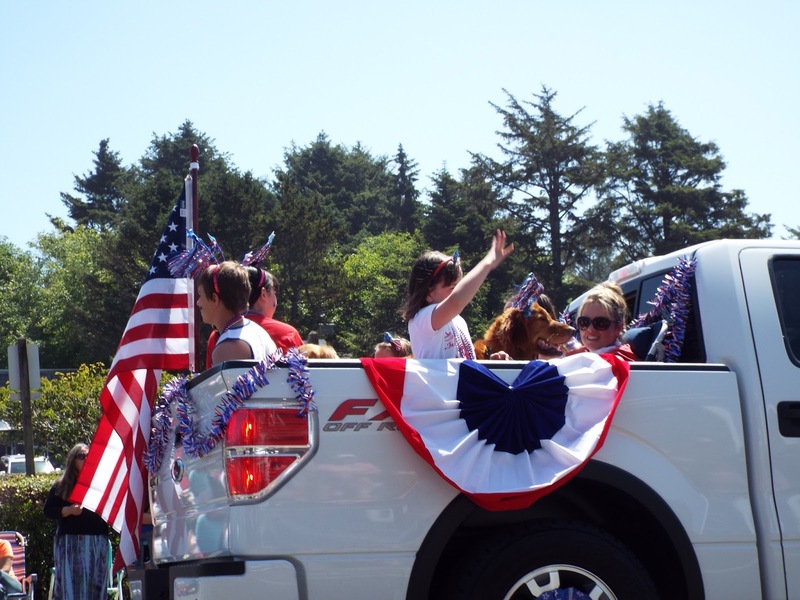 My family loves the 4th of July so much that my grandma started a parade celebrating Independence Day in Cannon Beach. 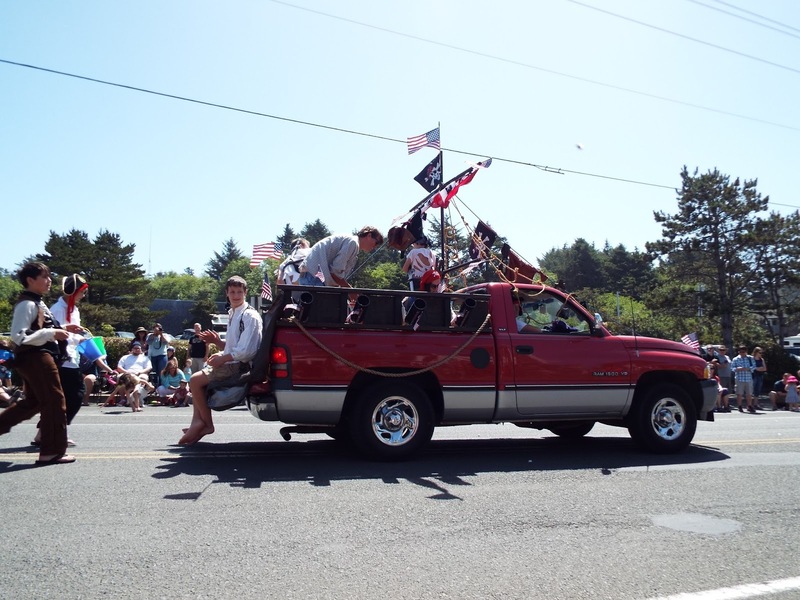 My parents and their entire wedding party walked in it the day after their wedding, and I've walked in it several times over the course of my life. 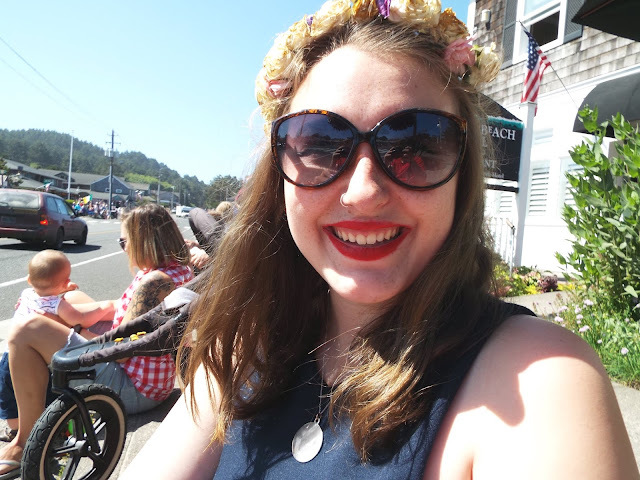 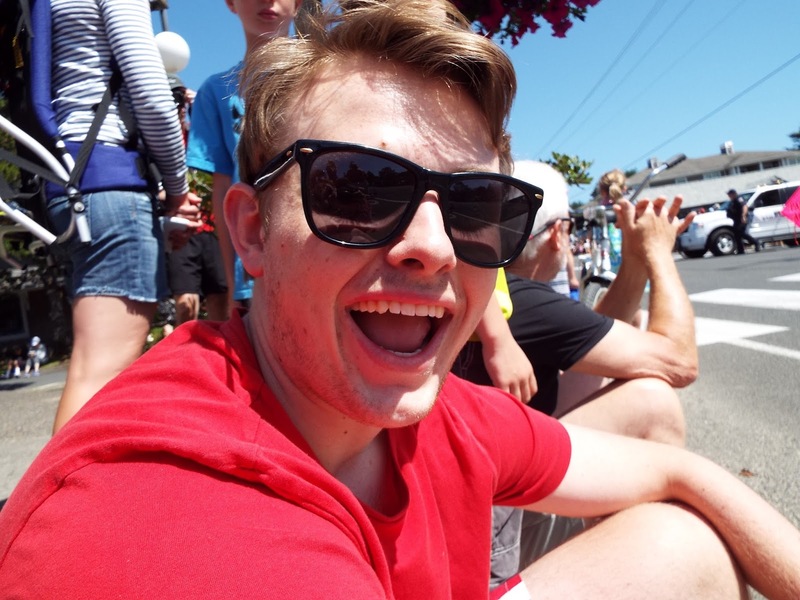 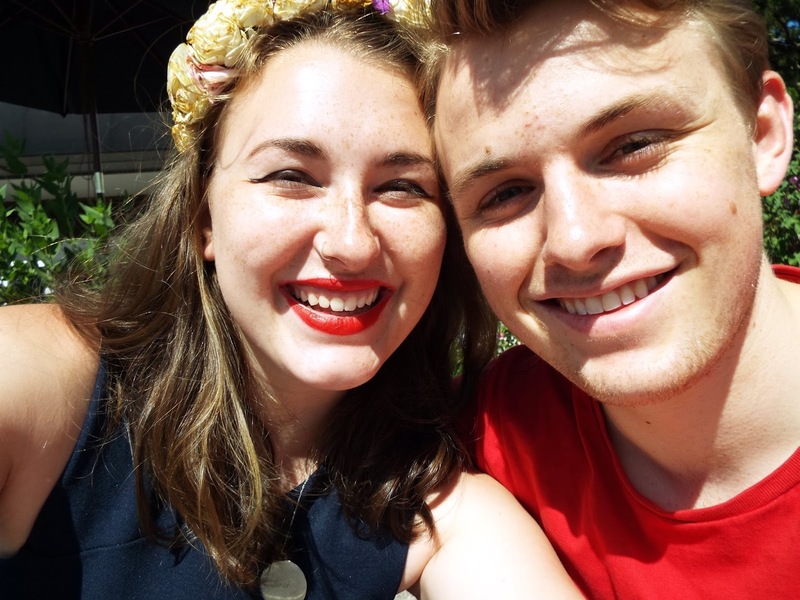 This year, Brendan and I ventured over to the coast to do something I've never done before: watch the parade. 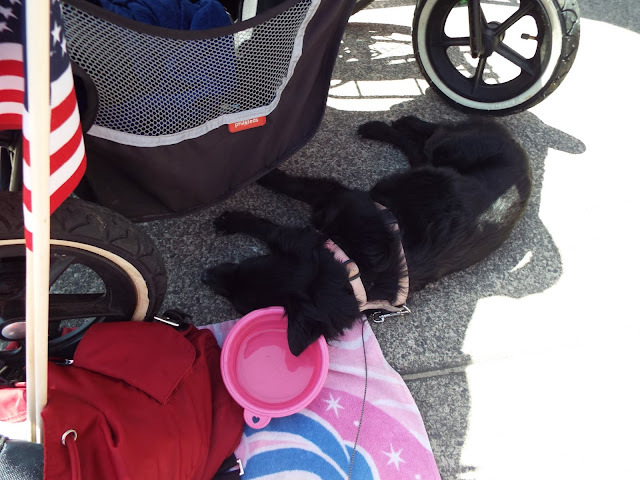 Between all the driving, playing at the beach, and the festivities, Luxe was so exhausted that she fell asleep in her water bowl halfway through the day. 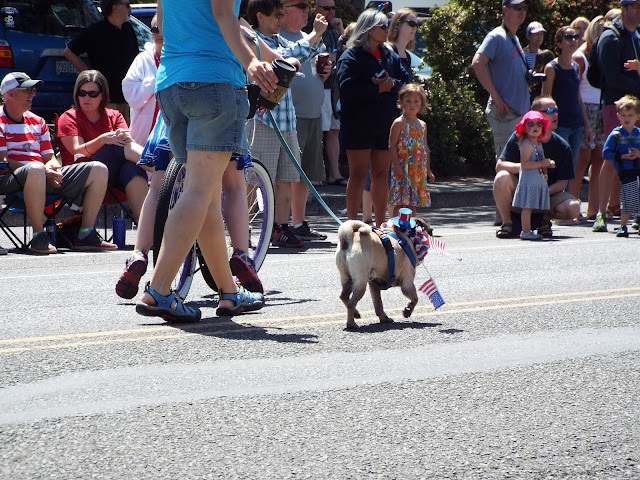 One of my favorite aspects of this parade is that anyone can sign up to be in the parade. There are only a couple groups of people that sign up every year, which means the parade is different every year! I love these fancy dogs in their patriotic apparel! 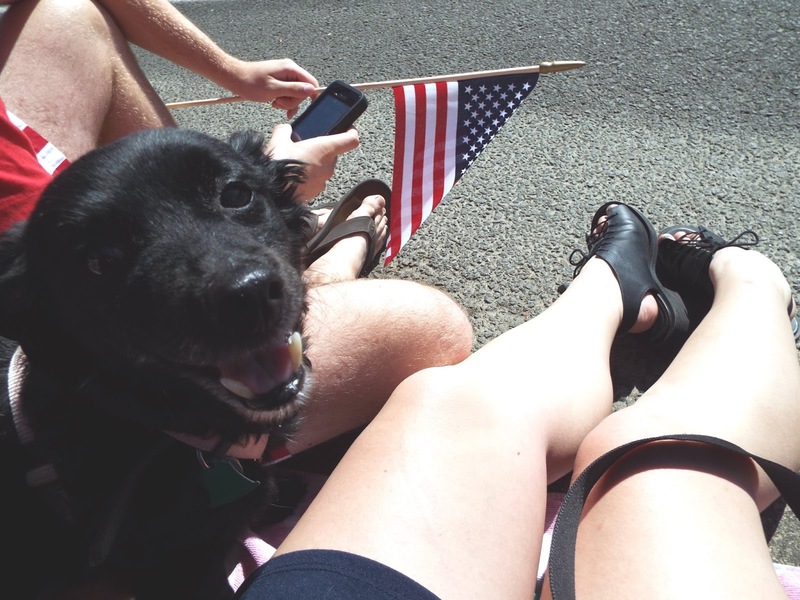 When we were in the parade a couple years ago, we dressed up Brandi. 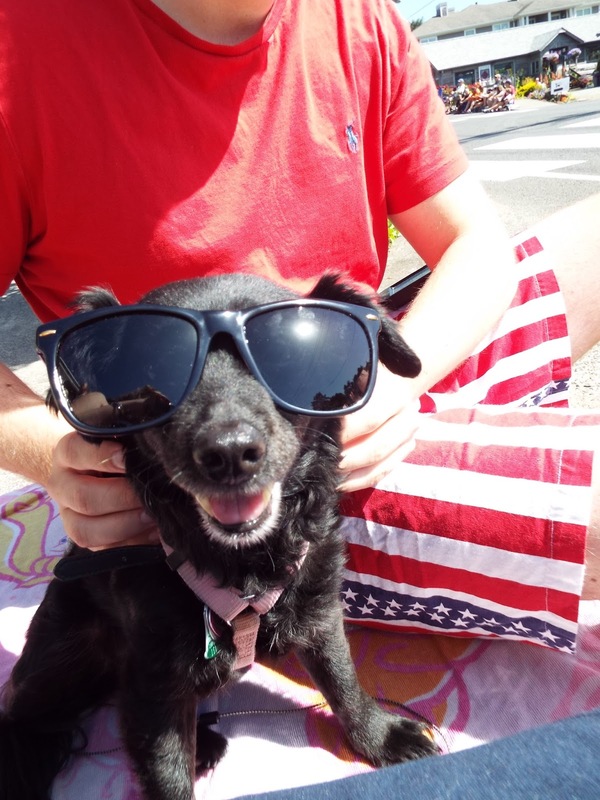 Poor Luxe gets overheated very easily, and I didn't want to make it worse with extra layers.